Our Minneapolis QuickBooks CPA firm offers a complete range of QuickBooks consulting, set-up, training and ongoing support to meet the needs of your business. We have the accounting, tax planning and QuickBooks experience to help you maintain your QuickBooks throughout the year.With our help you can be sure your books are organized and accurate so year end tax return preparation goes quickly and smoothly. 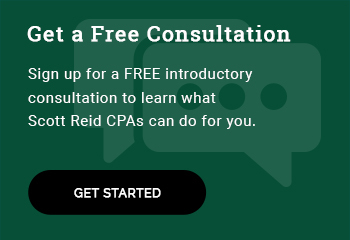 This will help minimize your year end accounting fees. In addition, with a clean QuickBooks file you will have financial data that can help you make confident management and planning decisions for your business. We are not only QuickBooks Pro Advisors, but we are CPAs and accountants, too. When you work with our Minneapolis accounting firm, we view ourselves as a trusted partner in your business. We work with hundreds of small businesses throughout the Twin Cities providing outsourced accounting, tax planning and QuickBooks services, but our number one priority is to save your business money. We are a local CPA firm who can come to your location. QuickBooks may be able to help you save time and money. Our Minneapolis QuickBooks Certified Pro Advisors offer a free, confidential consultation to discuss the pros and cons of using QuickBooks for your business. Call us at 651-635-9776 today.